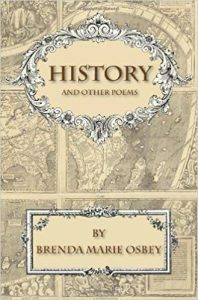 Brenda Marie Osbey is an author of poetry and prose nonfiction in English and French. This fall, she is the Emilia Galli Struppa Fellow at Virginia Humanities and a visiting professor at the Carter G. Woodson Institute for African American and African Studies at the University of Virginia (UVA). Her poems consider the experiences of American history, environment, and place, often from the perspective of her native New Orleans. Osbey is currently at work on Virginia Suite, a group of poems resulting from historical and archival research into the early years of the Virginia colony. She recently sat down with Rachel Teubner, communications intern at Virginia Humanities, to discuss her work. Q: You’ve been working with archives for a long time. As a poet, what do you find engaging about archival work? I was employed by the City Archives of New Orleans when I was quite young. That might have been the beginning of my obsession with archives and documents. The wonderful thing about archival documents is that the language is revelatory in ways that clearly were not intended at the time. We think of archives as objective, but they’re created by people, with particular perspectives. And when we look at historical documents, we often find that they tell us things inadvertently. While I was working on the chapbook, 1967, commissioned by the College of William & Mary, I came across “A List of Negroes at College.” These were enslaved workers, of course, but the language of the document, at least initially, would suggest that these were students rather than enslaved laborers. As I examined this document, I kept finding these rich ironies in the ways that these workers were described – as though “slave” were their chosen profession. Nobody sees themselves in that way; being enslaved was never anyone’s identity. It was a set of conditions. That’s what I mean when I say that the language of archives is revelatory. The “List” is shocking for what it’s not. Q: How do these documents—and what they reveal—turn into poems? One of the poems I’m working on now, entitled “On the Multiple Heads of Nat Turner, Insurrectionist,” is in response to the fact that so many excavated skulls hold competing claims to being his remains. Over time, images of Nat Turner gradually change, just as representations of the enslaved gradually change. 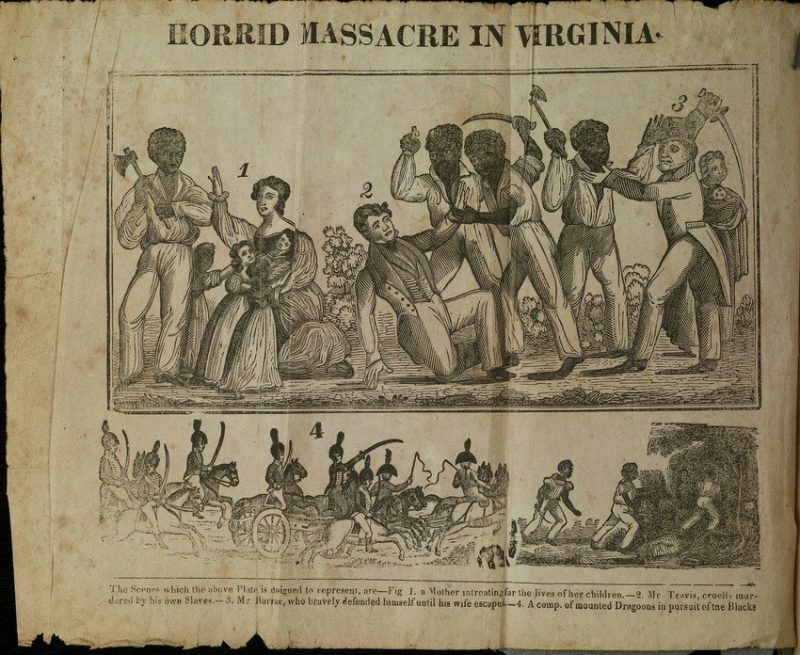 The headline above a 1831 woodcut about Turner proclaims: “HORRID MASSACRE IN VIRGINIA.” The primary message of that headline is that the enslaved must be contained, because violence and brutality are in their nature. Now, that says nothing about the violence and brutality of enslavement. Within that perspective, it’s completely logical to assume that the enslaved ought to be docile and accepting. So when insurrection takes place, it’s shocking and horrifying. And, of course, the perspectives of the descendants of enslaved people are entirely different. For the descendants, rebellion and resistance on the part of the enslaved is perfectly logical. So I’m interested in situating these individuals and these larger representational shifts within historical narratives. Q: What about Virginia and its history engages you as a writer? Virginia tends to present itself as the home of the Founding Fathers. But it’s also the home of several of the largest slaveholding families in the nation, including Jefferson. American slave law was framed here by these same framers of the nation’s major foundational documents and texts. Working in Charlottesville, I’m constantly reminded that this history is still with us, as the events of August 2017 attest. 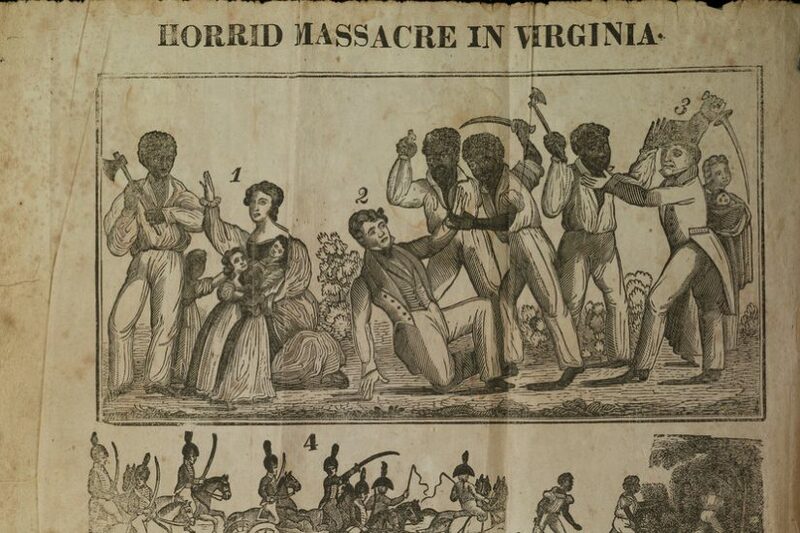 Those events are not out of keeping with the history of Virginia. We’ve become accustomed to thinking of Charlottesville as a liberal space, but that’s a recent perspective, marking a change even from the middle of the twentieth century. And if you look at the divisions of space in Charlottesville, where do you see African American people? Where do you see Native people? 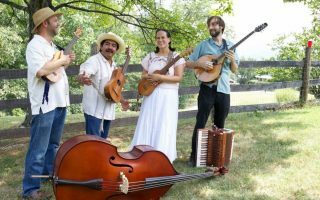 Where do you see recent immigrant communities? These divisions are part and parcel of the same history and the same problems. So being here fuels my interest in the romanticization and mythicization of Virginia and the United States, and in uncovering histories that might not be pleasant. Q: When it comes to the details of enslaved lives, the historical record is full of gaps. As a poet, how do you respond to these gaps? History itself, no matter how it’s recorded, is always a matter of perspective and interpretation. My 2013 collection History and Other Poems is a history of the Transatlantic Slave Trade, and is based on archival research conducted in the United States and France. I was pleased when a scholar reviewing the book said that it did what standard history often fails to do, which is to give a sense of the human experience of history. That comment underscored for me the value of what it was I was trying to do: to give a sense of lived experience. My favorite poet of all time is the late Robert Hayden. He gave us the contemporary usage of the term “Middle Passage.” Prior to the publication of his poem “Middle Passage,” it was simply a maritime term marking the midpoint on navigational charts between the west coast of Africa, where the slave castles were, and the Americas. We began using the term to describe the experience of the enslaved during that journey only after Hayden published “Middle Passage.” So when people say that poetry isn’t doing anything–not curing cancer, not helping others–I like to point out that poetry does change the way we see the world. Poetry is not fiction; it’s non-fiction, and it deepens and heightens our experience of the world. 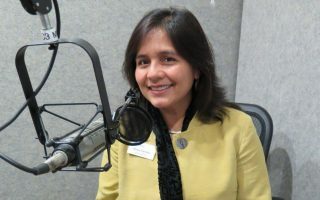 Q: What has the Virginia Humanities fellowship allowed you to do that you wouldn’t have been able to otherwise? The fellowship gives me time and space to think about these things. It also gives me access to materials that I wouldn’t otherwise have had access to, thanks to Virginia Humanities’ relationship with UVA. I can read Jefferson’s Notes on the State of Virginia, physically handle that volume in its various editions, look at private papers of slaveholding plantations, account books, record books–and I can do it in person, not just online. As I’ve been making notes in the archives and working on these poems, the project has changed, partly because of the kinds of materials I have access to at the UVA Small Special Collections Library. I’m finding myself continually startled, shocked, and often grieved by what I find in the archives. And that’s a kind of provocation to write poems that can, in turn, surprise us, can allow us to see history in clearer perspective, and, I hope, to question received history. 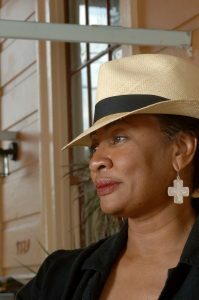 Brenda Marie Osbey is the author of seven books of poetry, as well as of libretti and of prose non-fiction in English and French. She is the recipient of the 2014 Langston Hughes Award and an American Book Award, and has received fellowships and awards from the National Endowment for the Arts, Harvard University, the Camargo Foundation at Cassis, France, the Fine Arts Work Center in Provincetown, Maison Dora Maar at Ménerbes, France, the Louisiana Division of the Arts, the New Orleans Jazz and Heritage Foundation and others. 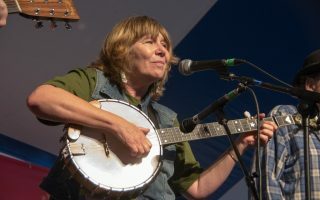 From 2005–2007, she served as the first peer-selected poet laureate of Louisiana. From 2011-2015, she served as Distinguished Visiting Professor of Africana Studies at Brown University. Osbey is a New Orleans native.